Call of Duty Black Ops 4 Beta Details, Trailer | Nerd Much? *Update: We’re giving away Blackout beta codes! Activision dropped a new trailer today giving us a fresh look at their upcoming shooter and dates for the highly anticipated Call of Duty Black Ops 4 beta. The Call of Duty Black Ops 4 beta will take place across two upcoming weekends. However, the first will only be accessible for PlayStation 4 owners. That beta weekend will begin on Friday, August 3rd at 10:00 a.m. Pacific, 1:00 p.m. Eastern. The PlayStation 4 exclusive beta ends Monday, August 6th at 10:00 a.m. Pacific, 1:00 p.m. Eastern. The following weekend brings the Call of Duty Black Ops 4 beta to Xbox One and PlayStation 4 owners. The second beta runs from Friday, August 10th at 10:00 a.m. Pacific, 1:00 p.m. Eastern to Monday, August 13th at 10:00 a.m. Pacific, 1:00 p.m. Eastern. In order to be eligible to partake in the upcoming beta weekends, you’ll have to preorder the game from select retailers in order to get a private beta key. If you preorder Black Ops 4 digitally, you’ll automatically be registered to participate. PC players aren’t being left out though. 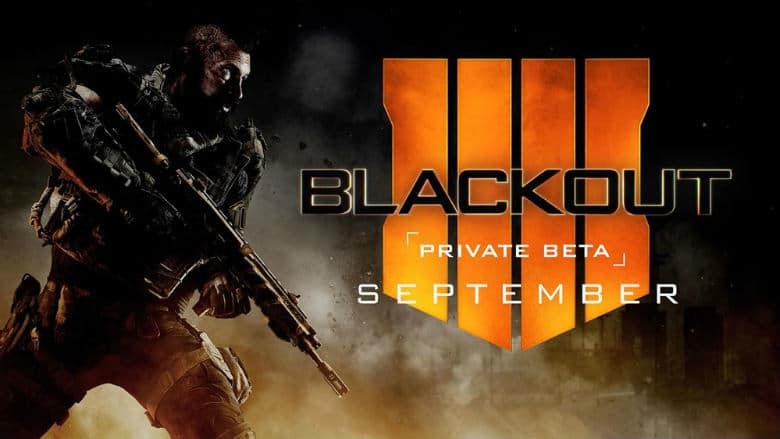 They’ll have their own specific Black Ops 4 beta to experience. The PC beta will run from Saturday, August 11th at 10:00 a.m. Pacific, 1:00 p.m. Eastern through Monday, August 13th at 10:00 a.m. Pacific, 1:00 p.m. Eastern. However, if you preorder the game through Battle.net, you’ll be able to access the beta a day earlier on August 10th. If you’re interested in taking part in the upcoming betas, be sure you preorder your copy of the game from an outlet that’s giving out keys to the private beta. Or, of course, you could always preorder digitally too.